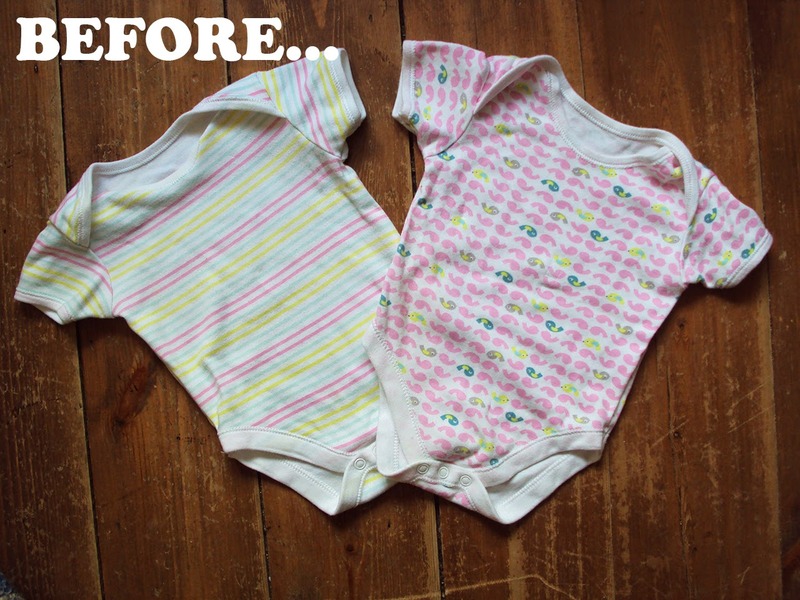 Great ideas for extending the life of baby clothes. I remember how fast mine grew out of lovely things and, especially in the early months when family and friends had bought lots of clothing as gifts, some never even got worn. So clever! And aren't baby things madly fun, so quick to do! You may know this already, but a garment with a poo stain can be laid out in the sun and it will remove the stain (as long as the poo is from a breastfeeding baby). I used to hang all our cloth diapers out in the sun and it would magically remove the stains--for real! Great ideas. I wish I had thought about cutting it in half and then adding a panel in when Elodie was little, I used to get so frustrated with vests falling off her shoulders because they were too wide but being too short on the body. I love these ideas, I still have bags of baby clothes in the cupboard from my when my toddler was smaller. With number two on the way, I would love to reuse some of them. The dying idea is great for making some of the more girly items unisex, in case I have a boy! I also agree on the onsie length issue, my daughter's clothes always get too short before they stop fitting width ways. 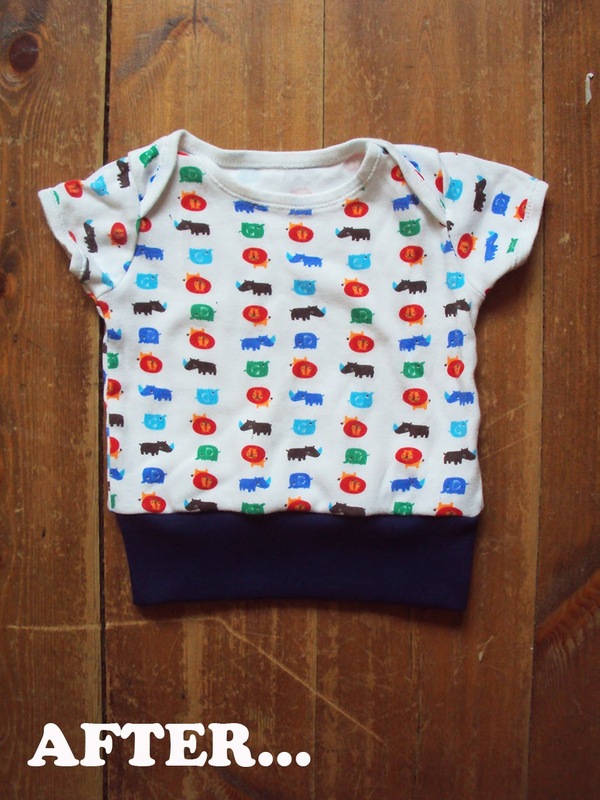 I've turned onesies into tees just by chopping off the bottom, since knit doesn't fray. These are great ideas! 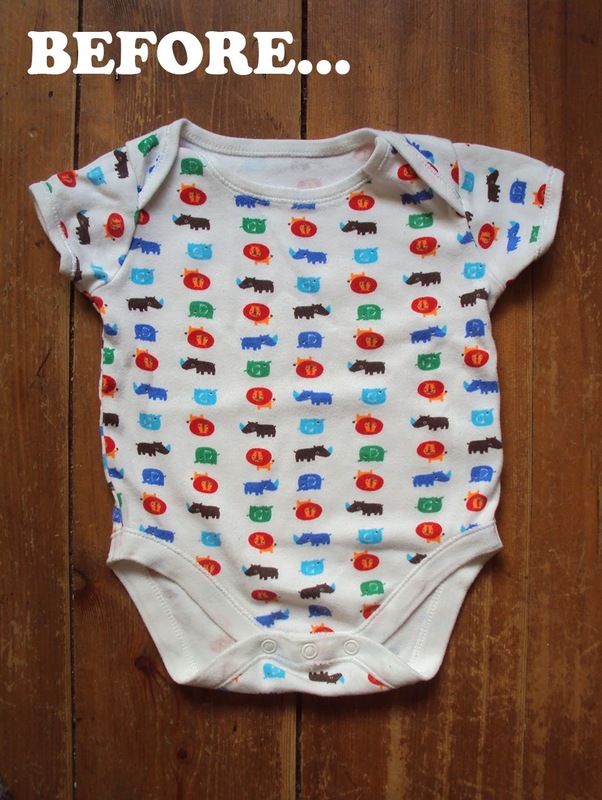 I have so many cute onesies that I want to make into shirts when my daughter outgrows them! Thanks for passing on the ideas. Do you think you'll be doing self-stitched september next month? 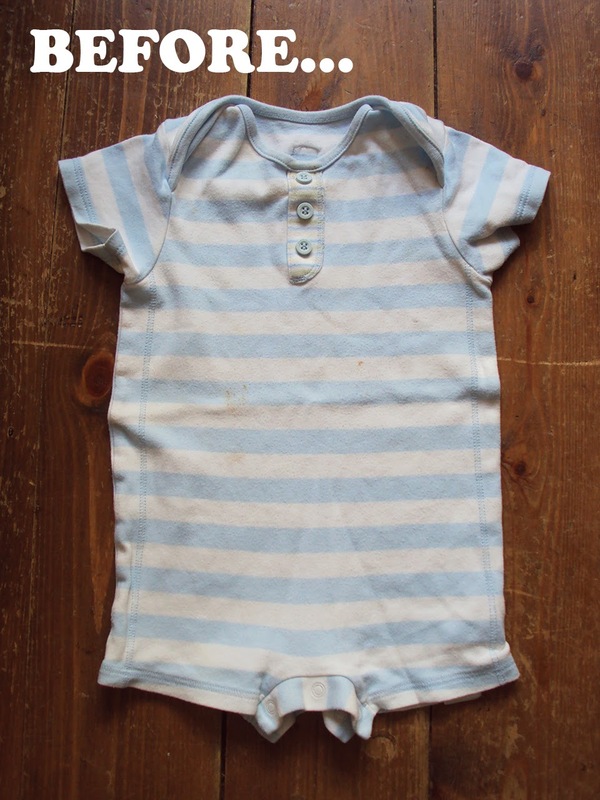 I'm a cheapskate, so I saved all of my baby clothes for the next child until we were done. Cutting up onesies to make them longer meant that I couldn't reuse them at the shorter size without altering them again in some way. I found the way around this when in a catalog I found snap extenders that you use to lengthen a onesie. I bought a couple, to see how they were made, then made my own. 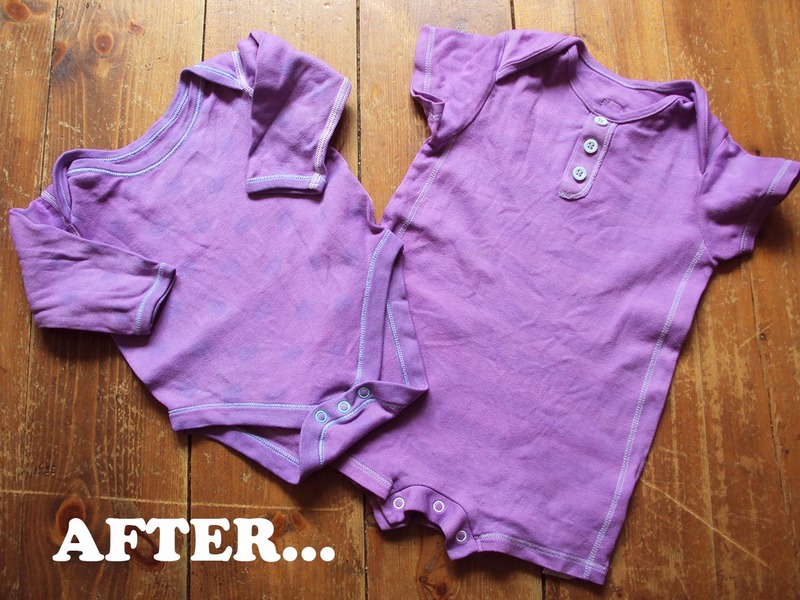 For people who want to use the baby clothes again but not alter them , this is a great alternative. The thing I've been doing recently is cannibalizing the actual fabric to make other things. Like a cute tiger appliqué from a onesie that had a rip in it - I cut off the appliqué and used it on a romper I made. And I have plans for a sleeper whose fabric I like but which is getting too worn in the knees to hand down or take to the thrift shop. I'm going to make a shirt with faux layered sleeves and will use fabric from the sleeper for the lower portion of the sleeves. I'm actually really excited about that one. I think I should have to share your post to my friends! Hey...!! Thanks a lot for sharing this post. 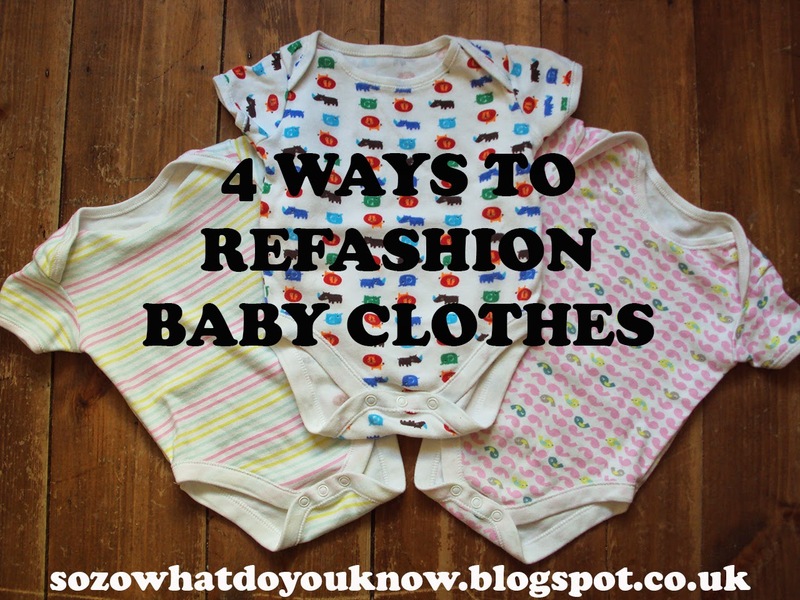 It is really very helpful and definitely i will follow these tips on my babies clothes. I was just searching out for baby clothes and landed to this post. Its really nice and thanks. Ideas are awesome and the baby is very cute. 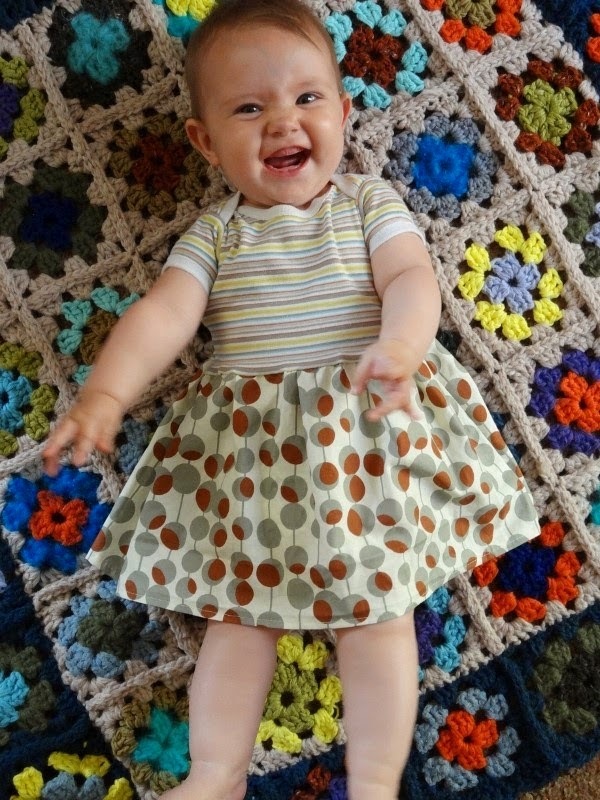 I learn ideas to refashion all my baby clothes into kid clothes.